Slight price reduction on this monitor over at Box, making it the cheapest out there for this model. 1440p IPS Panel, with a 4ms response time, and 60Hz refresh. Good for gaming if you want to bump up your resolution past 1080P. Price shows as £199.99 but £10 will be deducted when you add item to your basket. Can someone help me with this please. Would you recommend this BenQ over an Acer KG271U, also 1440p, but a TN panel and 75 HZ? I think this screen also includes a DisplayPort input. This is the GW2765HE model, it's the HT model that has DP. OK but ebuyer list this model as having DP. I just zoomed into the picture and it shows a "D" symbol under one of the ports (ports are not viewable). Is this DisplayPort? I just zoomed into the picture and it shows a "D" symbol under one of the …I just zoomed into the picture and it shows a "D" symbol under one of the ports (ports are not viewable). Is this DisplayPort? Yep, just saw that. Glad it has it as I want to buy it. Can someone help me with this please. 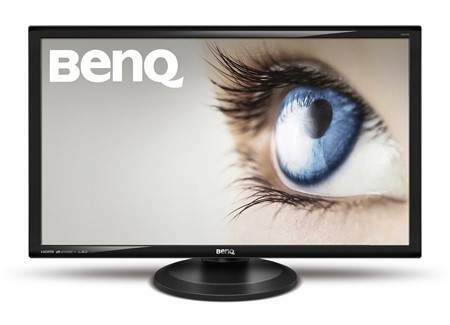 Would you recommend this BenQ over …Can someone help me with this please. Would you recommend this BenQ over an Acer KG271U, also 1440p, but a TN panel and 75 HZ? No freesync but do I really need freesync or is it the case of once you have it you don't want to go back? ATM I have a 27" TN panel at 1080p, 1ms, 75Hz with freesync...is this a worthy upgrade? I'm running an i5 7500 along with a 4gig RX480 if that helps. Best monitor for Xbox 360/PS3. 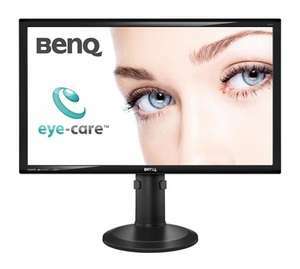 Is this essentially the same as this: BenQ GW2765HT LED IPS 27 inch Widescreen Multimedia Monitor (16:9 2560 x 1440, 1000:1, 20M:1, 4 ms GTG, DVI/DP1.2/HDMI1.4 and Speakers) - Black amazon.co.uk/dp/…WH2? I would usually rather buy from Amazon for warranty stuff, but that is a massive price difference unless I'm missing something major in specs? Is this essentially the same as this: BenQ GW2765HT LED IPS 27 inch …Is this essentially the same as this: BenQ GW2765HT LED IPS 27 inch Widescreen Multimedia Monitor (16:9 2560 x 1440, 1000:1, 20M:1, 4 ms GTG, DVI/DP1.2/HDMI1.4 and Speakers) - Black https://www.amazon.co.uk/dp/B00M913DVG/ref=cm_sw_r_cp_apa_1tIMBbPJQ4WH2? I would usually rather buy from Amazon for warranty stuff, but that is a massive price difference unless I'm missing something major in specs? I have the HT and HE. They are practically the same monitor. I do however feel the colours look better on the HT, maybe that's just me. I also occasionally have issues with the HE turning on or finding the correct source, but it happens rarely. I paid £200+ at xmas, for £190 this is great value. 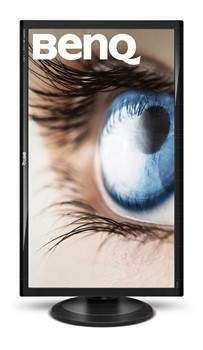 The HT is higher frequency so you'll get better refresh rates with that one - hence the higher price. If you PC can display the game or content in higher than 60 frames per second that is what you'll get up to 89hz I believe is the cap on the HT. The HE is capped at 60hz so you'll only ever be able to see 60FPS. Ibso Facto - The HT is better. The HT is higher frequency so you'll get better refresh rates with that …The HT is higher frequency so you'll get better refresh rates with that one - hence the higher price.If you PC can display the game or content in higher than 60 frames per second that is what you'll get up to 89hz I believe is the cap on the HT.The HE is capped at 60hz so you'll only ever be able to see 60FPS.Ibso Facto - The HT is better. Ah so the HT could do up to 89fps? I might re arrange my monitors then as i always game on my right monitor which currently is the HE. Ah so the HT could do up to 89fps?I might re arrange my monitors then as i …Ah so the HT could do up to 89fps?I might re arrange my monitors then as i always game on my right monitor which currently is the HE. Yeah - higher frequency range allows for more refreshes per second, allowing you to have a higher frame per second count. I must admit 89FPS is a bit of an unusual number but so is 165hz I guess. Either way as long as you unlock the frames in your games and allow it to go over the 60FPS softcap and you do receive up to 89FPS then you should notice a big difference in how fluid your games play. Yeah - higher frequency range allows for more refreshes per second, …Yeah - higher frequency range allows for more refreshes per second, allowing you to have a higher frame per second count.I must admit 89FPS is a bit of an unusual number but so is 165hz I guess.Either way as long as you unlock the frames in your games and allow it to go over the 60FPS softcap and you do receive up to 89FPS then you should notice a big difference in how fluid your games play. shall give it a go, thanks! Thank you both sincerely, this is mostly for admin work, and then limited photography stuff so colour reproduction is important, and then watching videos. It seems I can and should save the difference and buy this one. Box seem to have a fairly decent returns policy, are they well regarded? It is troubling how nearly everything I buy is from Amazon these days! Think you're getting confused between the horizontal frequency (30-89KHz) and vertical frequency (50-75Hz) on these monitors. Note that both the HT and HE have 50-75Hz listed under vertical frequency on the BenQ website. I suspect that they're both 60Hz monitors at the native resolution though. ok for i5 2500k and R9 280X?